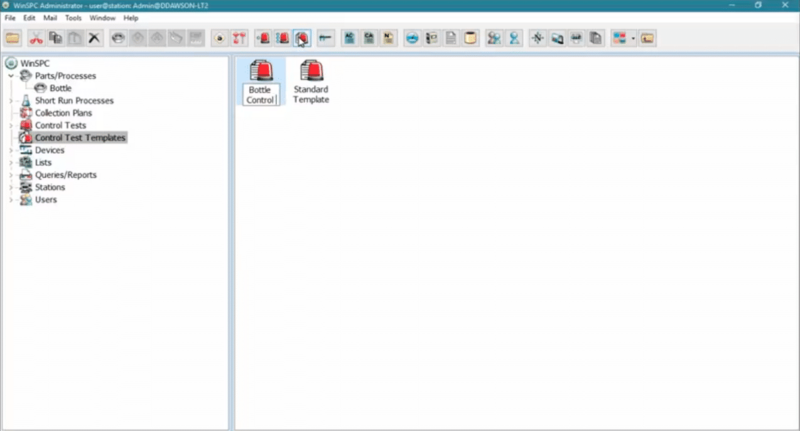 Like the basic setup, the setup of alarms is done in the Administrator window. To start, you setup a control test template (explained below). 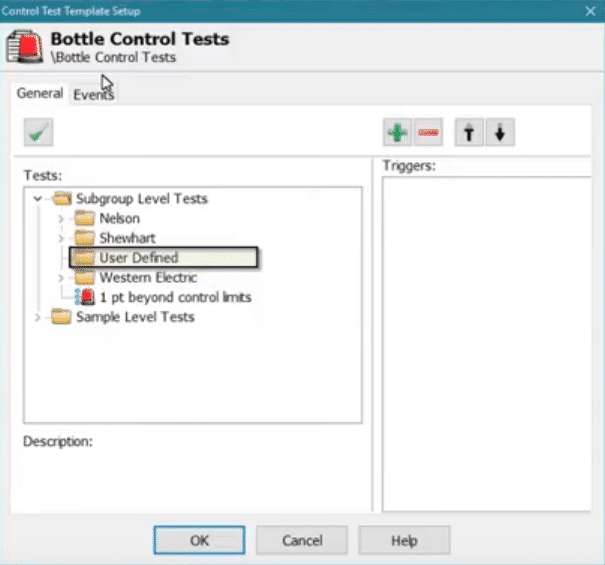 A control test template is how you specify the testing rules to be applied to incoming data. 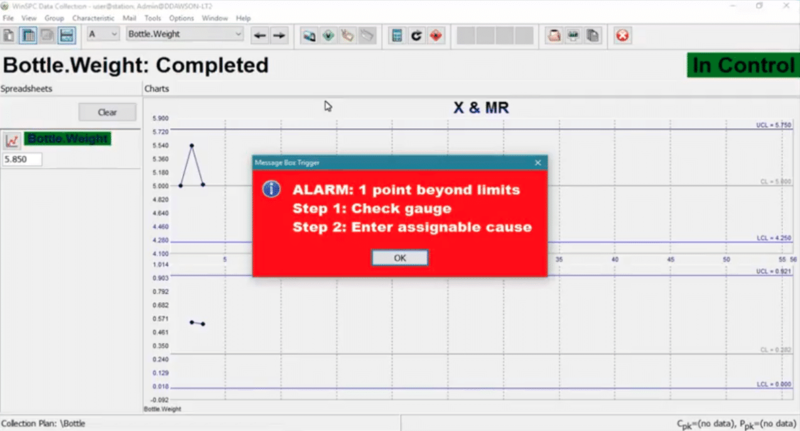 And the alarms to be triggered when trends or violations are detected. 1. Click the New Control Test Template button. 2. Name and double-click the template. 3. 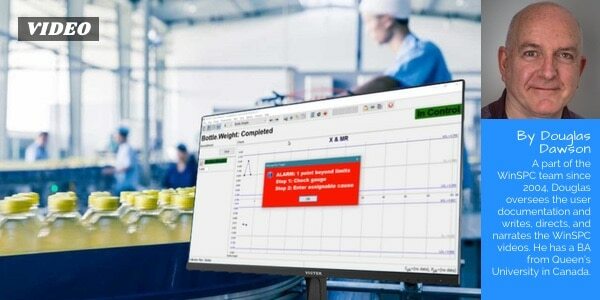 Select a test, either a standard SPC test, such as those based on Western Electric rules. Or one you’ve defined yourself. 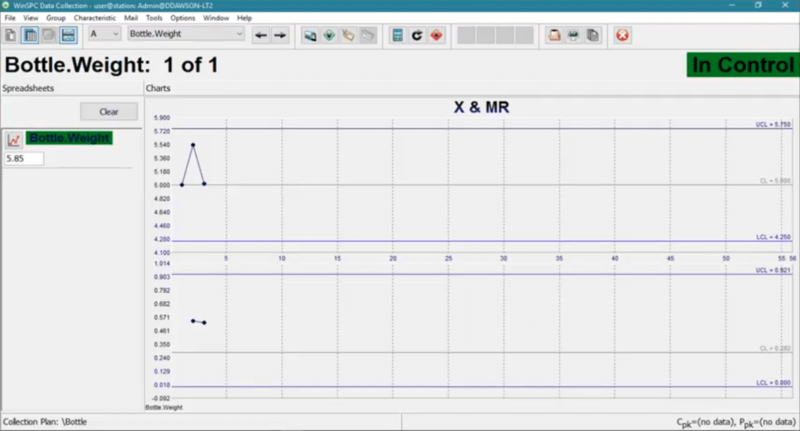 For an example, we’ll select the one point beyond control limits test. 1. 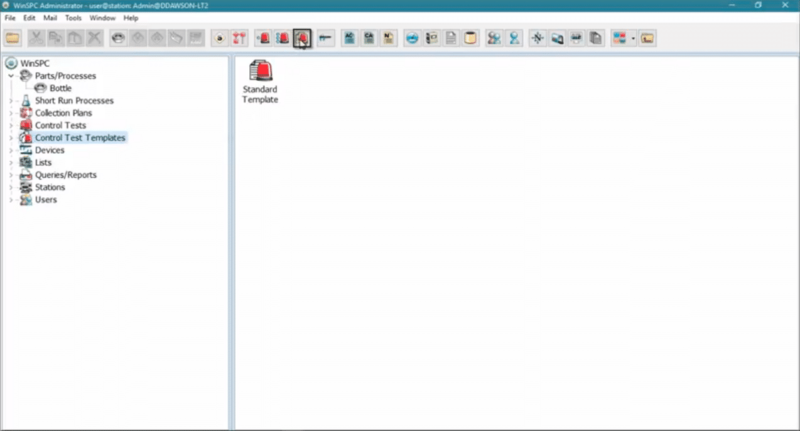 Enable the selected test. 2. 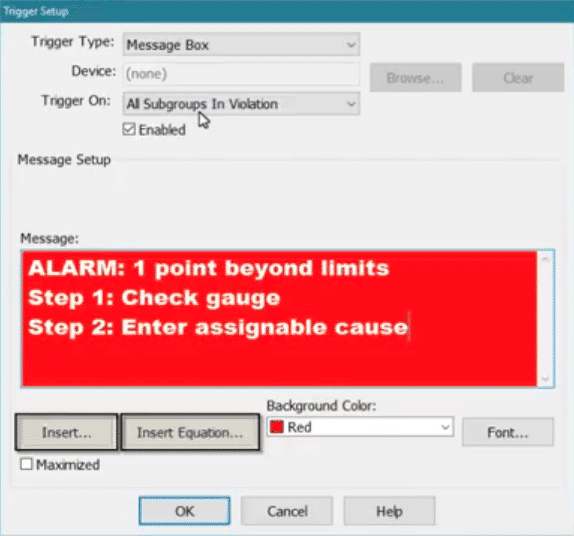 And add a trigger (explained below), which is the term for alarms. 1. 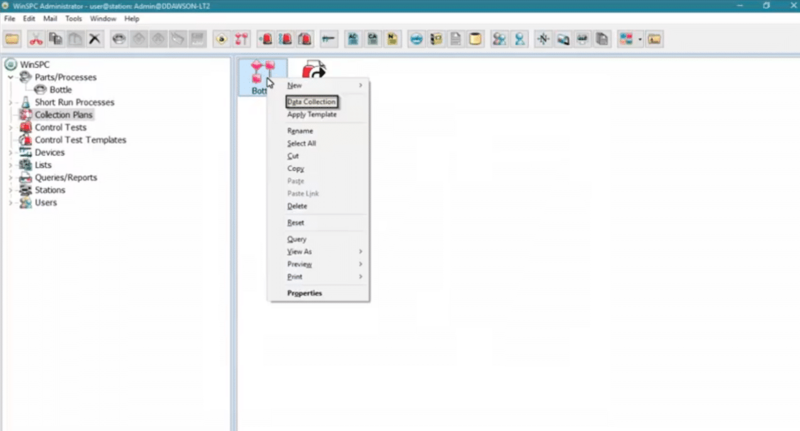 Click the Add Trigger button. 2. 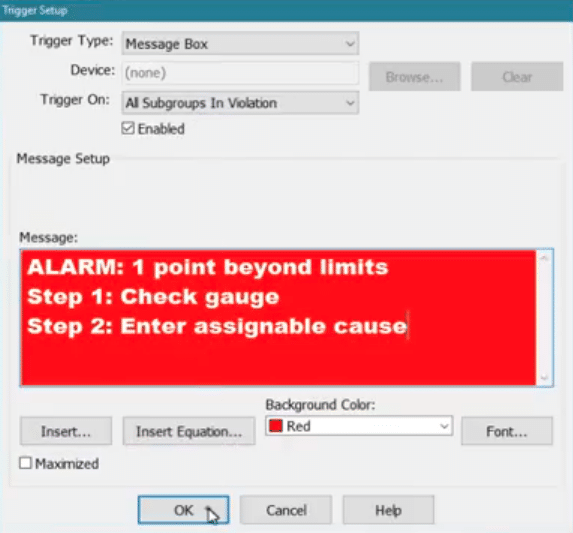 Choose a trigger, the Message Box for example, which pops up a message when the test is violated. 3. 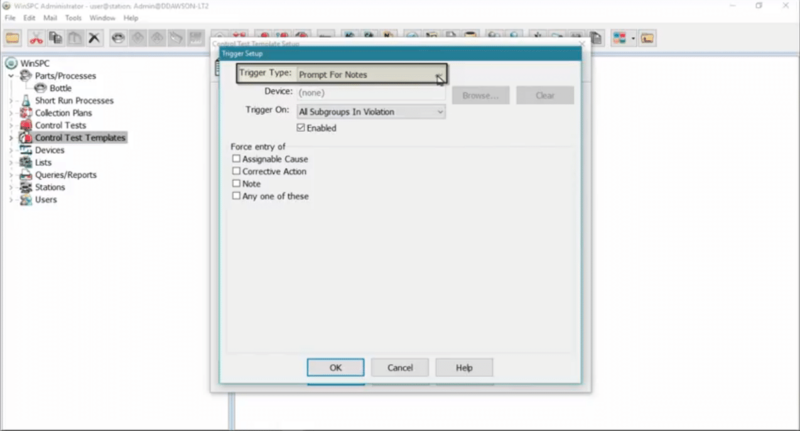 And configure the trigger’s settings. For the Message Box trigger, this can consist of entering text and inserting dynamic details about the event. 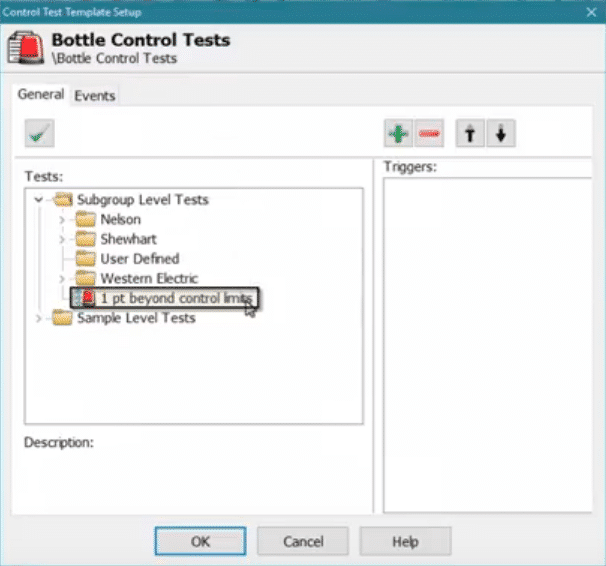 As needed, you can add more triggers and enable additional tests. 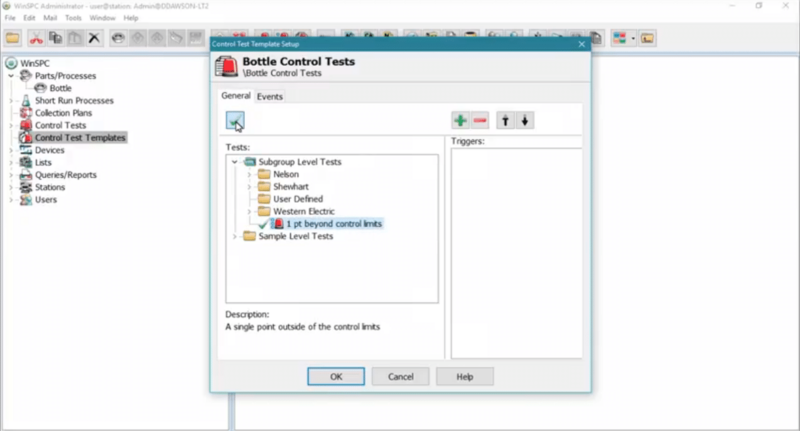 Next, you link the control test template to the collection plan. 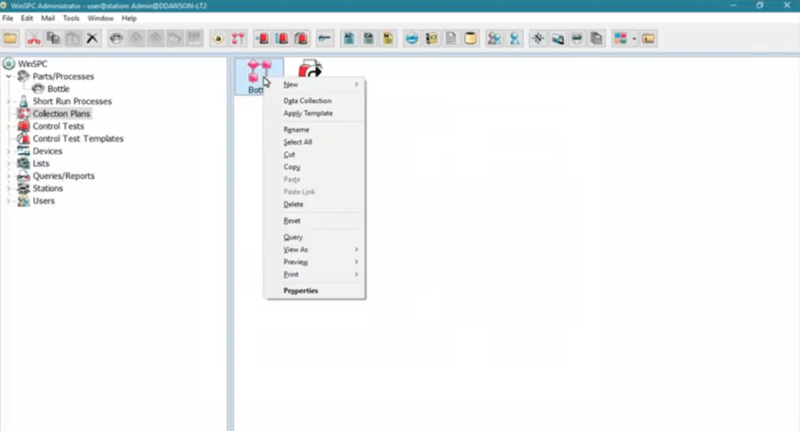 To do this, simply drag the template to the folder containing the collection plan, which in this case is the main collection plan folder. and capturing data that violates its test.